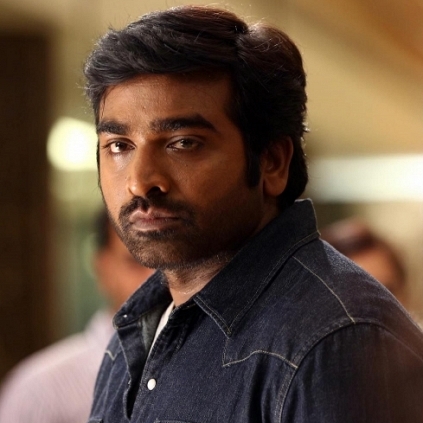 HOT: VIJAY SETHUPATHI TO DON A LADY GET-UP? As we all know, Vijay Sethupathi is doing his next film with the much acclaimed Aaranya Kaandam fame director Thiagarajan Kumararaja. The film also has Samantha, Fahadh Faasil, and Mysskin, playing very important roles, while P.C.Sreeram is doing the cinematography. There are talks that Yuvan Shankar Raja is the music director but Anirudh 's name is also being whispered. The film's shoot flagged off on the 4th of November (Friday) and is currently progressing at a brisk pace in Royapuram. Reportedly, a still from the shooting spot of the film is doing its rounds in the social media. This picture appears like Vijay Sethupathi in a lady getup, wearing a saree. Is Vijay Sethupathi playing a lady getup in the film or is he a transgender? Well, we will have to wait for an official confirmation from the team. It can be recalled that Sivakarthikeyan was seen in a lady getup in the recently released Remo. We will know as things unravel. We will keep you posted. Stay tuned. Shankar does the impossible task for 2.0! Will Kamal Haasan do this for his brother? Why Do Directors Like Ram, Thiagarajan Kumararaja And Vetri Maaran Take A Huge Gap Between Their Films? People looking for online information on Thiagarajan Kumararaja, Vijay Sethupathi will find this news story useful.